I spent most of yesterday in court. 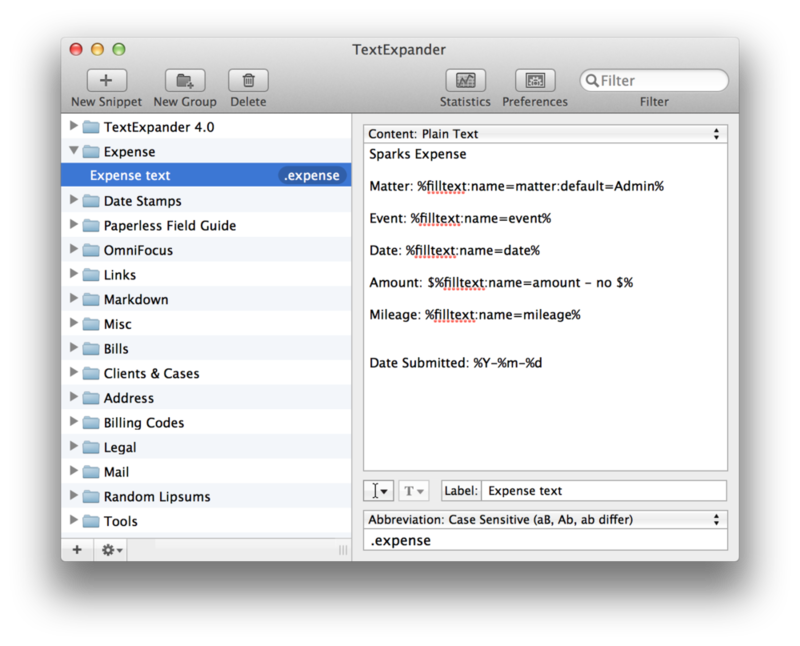 As I fired off my TextExpander expense reporting snippet, it occurred to me, "people may like this." This snippet creates a fill-in form with all the relevant boxes. I can use it in any text application, I usually do it in a blank Byword or Pages documents and staple receipts and the other relevant pieces of paper. Download it here.